PHOENIX – The public meeting on the proposed stocking and the current status of the Lees Ferry fishery will be held 5-7 p.m. on Monday, March 5, at the old lodge across from Marble Canyon Lodge on U.S. Hwy 89 A in Marble Canyon. 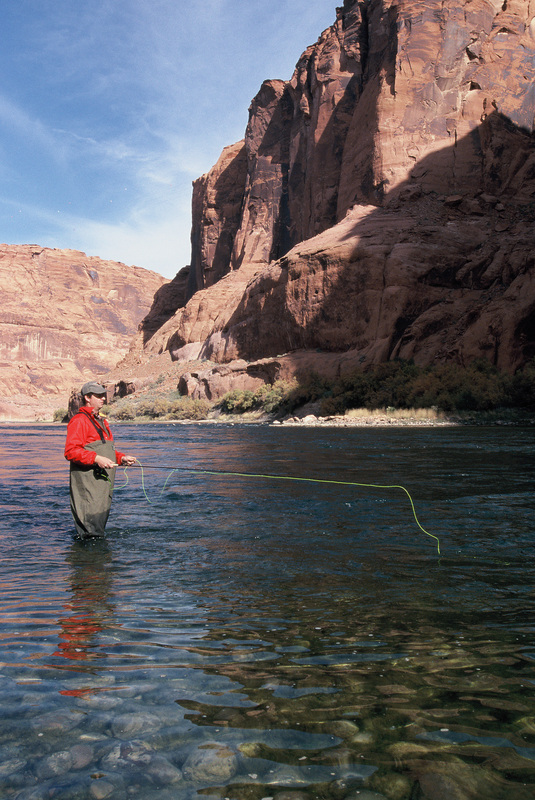 The Arizona Game and Fish Department plans to stock rainbow trout this spring into the lower 3 mile walk-in section of Lees Ferry, a blue-ribbon trout fishery below Glen Canyon Dam in northern Arizona. The meeting will include discussions on the state of the trout fishery at Lees Ferry, the proposal to stock, overall impacts of the stocking, Department perspective on the project and an open forum. See the agenda, including more information on the project. Public comments can also be emailed to CCantrell@azgfd.gov. The overall rainbow trout fishery at Lees Ferry has been in decline since early 2011. Accordingly, AZGFD creel survey results during recent years have shown a dramatic decrease in angler catch rates. Although rainbow trout fishing during the past year seems to have recovered somewhat in the upper portion of the river with reports of large rainbow trout being captured, trout fishing in the walk-in area has not recovered as quickly as the Department had hoped. This stocking is intended to boost sport-fishing opportunities for rainbow trout at this walk-in portion. Lees Ferry is regarded as one of the top tailwater rainbow trout fisheries in the nation, and fishing at this massive, clear-running river has a profound impact on the local economy near Marble Canyon. The Department will plan to stock trout at this portion of Lees Ferry as necessary throughout 2018 to address low catch rates and angler satisfaction.